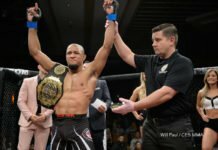 CES Champion Nate Andrews' Message to Dana White: "I'm Ready, Make the Call"
Nate Andrews defeated Bryce Logan for his 15th finish in his MMA career at CES 54. At age 34, he awaits the possibility of a UFC call up, but will Dana White pick up the phone? 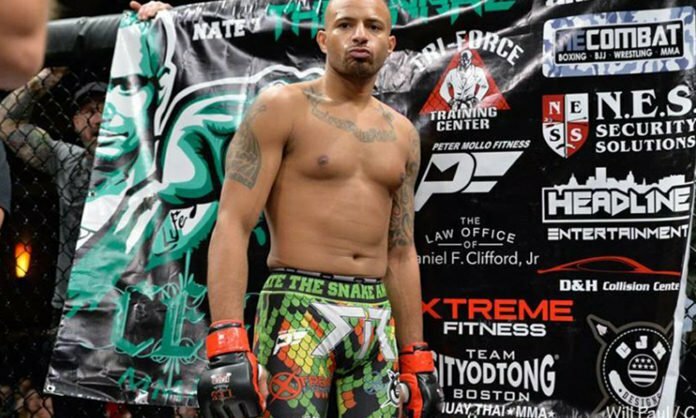 At 15-1 with a nine-fight winning streak, a lightweight title, and 15 finishes on his resume, we are all asking the same question, what more does Nate Andrews need to do to get that call from Dana White? Nate Andrews has done it all, except go to decision. 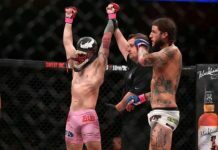 10 wins via submission, 5 via KO/TKO. Andrews believes without his training at Tri-Force MMA and NE Boxing & Fitness, none of this could happen inside the cage. Many of Lauzon MMA’s stable are of the same management as Nate Andrews: Top Game Management. This allows him to build relationships with great fighters from not only his gym but all over. This includes current UFC fighters such as Rob Font, Calvin Kattar, Kyle Bochniak, and more.